Lush Fab Glam Inspired Lifestyle For The Modern Woman: Stars Perform at the 'Michael Forever' Tribute Concert! 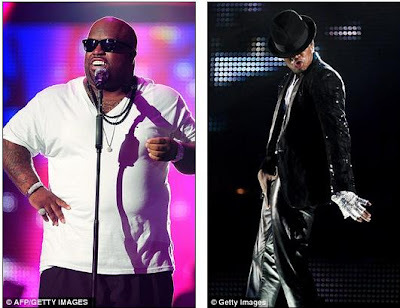 Stars Perform at the 'Michael Forever' Tribute Concert! Amid the ongoing frenzy surrounding the involuntary manslaughter trial of Michael Jackson's doctor Conrad Murray, performers like Christina Aguilera, Jamie Fox, Ne-yo, Beyonce (via statellite), Patti Labelle, Cee Lo Green, La Toya Jackson, the Jackson brothers and many more sang and danced their hearts out to honor the memory of the iconic singer. Read on to see photos of the celebrities that took the stage over the weekend at the 'Michael Forever' tribute concert held in Cardiff, England. Michael's children (from left to right) Prince Michael, Blanket and Paris introducing Beyonce. Jamie Foxx hosted the concert alongside radio presenter Fearne Cotton. Cee Lo Green and Ne-Yo. Michael's sister Latoya Jackson also performed. 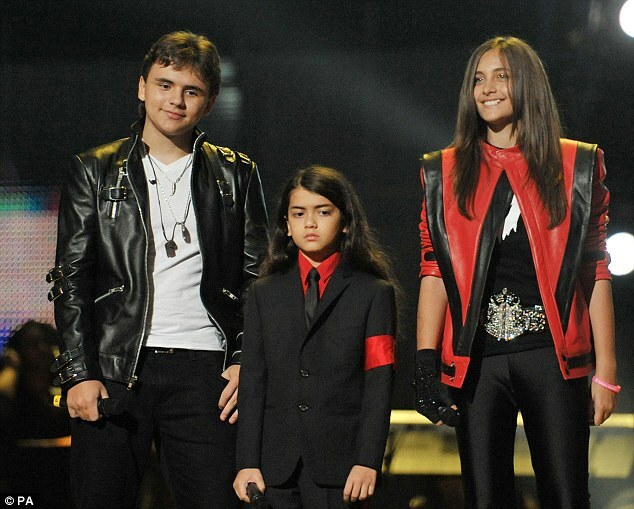 Michael's brothers Marlon, Jackie and Tito Jackson performing alongside British boy band JLS. Michael's kids are all growing up so quickly. hey I was looking for the beyonce photo there is none wth. Wasn't black eyed peas supposed to perform oh yea and CB? 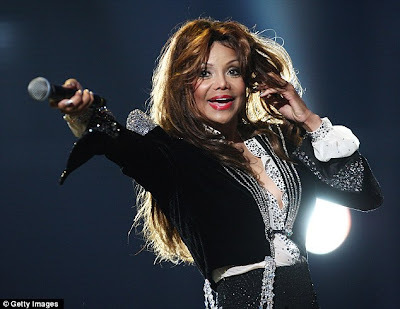 OMG what is up with Latoya's face, plastic surgery is not for everyone.